Home >>Random >>Jazzed-up Registration Module! The number of this site's registered members is approaching 5000 and I am more and more often receiving requests to reset someone's password because they forgot it. See, up until now there was no way for a user to reset his pass on his own. So I had to do it. Being as lazy as I am (when it comes to petty chores) I have revamped our registration module. 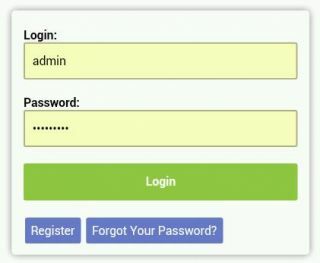 You can now Register, Login, Forget your Password and Reset it in one convenient place. Just go to Sign In menu option. Oh, if you want to reset your pass you need to provide the email address, you used to register. And it needs to be valid, because it is where your new pass will be sent to! New Comment to: Jazzed-up Registration Module!